Park The NanoScientific Forum Europe (NSFE 2018) hosted at TU Freiberg and sponsored by Park Systems and NanoScientific Journal is now available via live stream. To register via live stream go tolive.parksystems.com/nsfe2018 today. 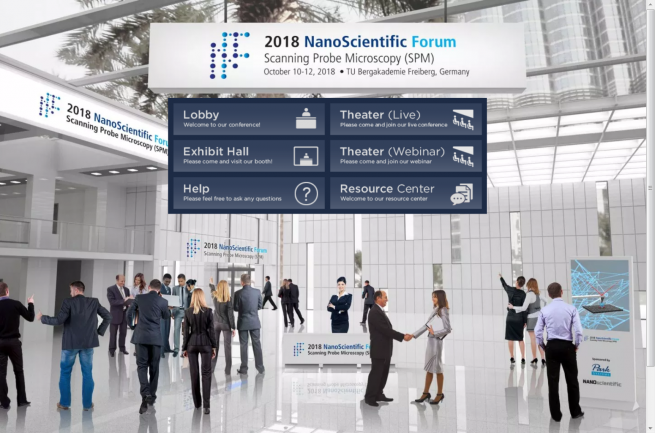 This open AFM User Meeting will focus on sharing and exchanging the cutting-edge research for both materials and life science disciplines using Atomic Force Microscopy (AFM). A special session during the scientific program will be held to the topic nanobubbles, which is a part of the flagship project of TU Freiberg and Helmholtz Institute Freiberg for Resource Technology. Stay up to date on all of the latest - live and free! • Poster session and image contest with amazing prizes!